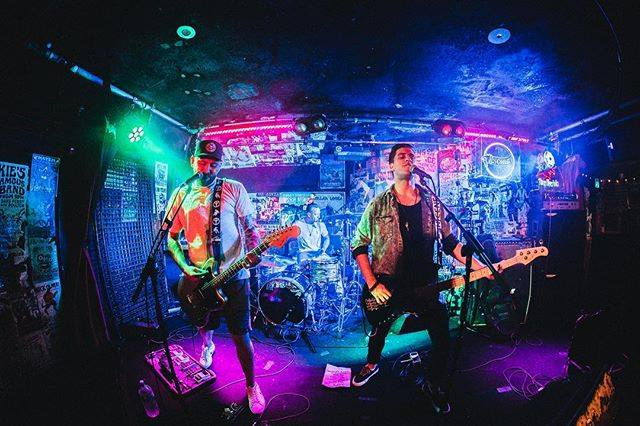 The 3-piece hails from Sydney, Australia and delivers the tightly wound pop punk with a slight Aussie sneer. The band has been honing their take on the Green Day / Blink 182 formula of punk rocks since 2010. They put in some time on the club circuit and previously released a self-produced EP, “One Life One Chance” that gave notice with a single entitled, ‘The Ride’. That track garnered some radio play which got the attention of Foghorn Records who released the bands next two singles, ‘Reasons’ and ‘Inbetween’ in 2012. A couple year hiatus ensued that was finally broken by the addition of a new bassist in 2014. The next few years focused on writing and further development of the bands sound. Some steady touring along with a focus on a proper full length album brings us up to speed to 2018. Halfwait’s debut album will be called, “The Official” and is slated for a June 08, 2018 release date. And advance single in the way of a lyric video has been sent out for preview called, ‘Stand Alone’. It’s an earnest, medium paced indie-punk rocker with stark verses paired against a wall-of-guitar power chord chorus. Singer Jon Barca has a soulful whine that he uses to pull out the vocal lines into long, sustained crooning type deliveries. One can’t help but notice the tinge of fellow Australian grungy rockers Silverchair lurking beneath the structure of this song. Here is some of the work that led up to the band tackling their debut full length.